It is just a simple truth that Amazon ranks as the top online marketplace. If you doubt it, just consider this – Amazon has quickly become the main place consumers go in order to shop online. In fact, many reports show that Amazon is even beating out Google in terms of product searches! 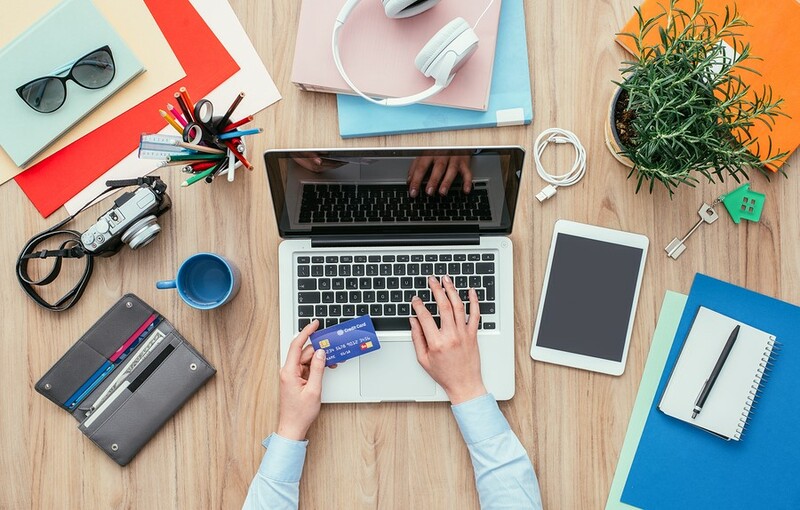 Because of its popularity and growing share of product searches, it’s hard to argue with merchants for flocking to the online channel to sell their goods. Pretty hard, indeed, and yet there are many firms that are eager to shift their business model away from an Amazon-centric model. Why? There are actually many reasons for it, and yet there is also a single, universal truth often overlooked when discussing the pros and cons of reliance on Amazon. What is that universal truth? That failure to diversify is a poor model for sales of any kind. It is the opposite of “hedging your bets”, and in this article, we are going to look at ways of maximizing your sales on multiple sales channels, rather than strictly through Amazon. Why Not Just Stick to Amazon? Absence of buyer demographics – The metrics that can help you create an optimal marketing and sales model are unavailable when you use the Amazon system. Tracking, metrics, and invaluable insight are severely limited, preventing you from making the most out of any sale. Amazon owns buyer demographics – Of course, a major reason to rely only mildly on Amazon is that they retain the contact information on each of your sales. This means they position themselves to become your competition if they can source the product less expensively and use their massive distribution network to undercut on shipping, too. Competition is intense – It is not only Amazon that forms the competition, and instead of building a brand, telling your story and solving a need, it comes down to the lowest price. It can also come down to selling a specific brand over another. High fees – No matter how you approach it, experts warn that keeping on top of your Amazon selling fees is the starting point to running a successful business on Amazon. After all, there are often per item fees, referral fees (usually 15% of the sale price or $1-$2 per item), closing fees and even selling plan fees. This can add up and leave you non-competitive. Not only are the commissions high, but if you use Amazon FBA you’ll be paying more than if you use most fulfillment companies, according to FulfillmentCompanies.net’s analysis of fulfillment pricing. These are but a few of the downsides to leaning too heavily on Amazon, and yet there is one final downside that we’ve already touched on – the absence of diversification. In fact, some warn that many sellers end up experiencing dependency upon Amazon. In doing so, they might enjoy ongoing sales, but this prevents long-term brand development as well as allowing most other e-commerce activities or online efforts fall to the proverbial wayside. The best way to build your own brand is to diversify, or at least diversify your business from your activities on Amazon. Though you may have started your online sales career through Amazon, you must strive to create a brand of your own, that enables you to control client data. This can only occur when you take the first, essential step towards diversification, which is to build the foundation of an online profile using an independent website. Create a website – You can have an Amazon sales page that includes feedback, policies and product listings, but it is nothing like a free-standing website. With this you can track user data, refine your marketing, harvest email information, link to blogs and social channels, link to other marketplaces, and learn all you need in order to succeed at SEO and sales. Without this foundational piece, you are just at the mercy of the Amazon marketplace. Social channels – Marketing via Facebook, Instagram, Pinterest, and even Etsy (which is also a marketplace of its own), is a simple and affordable way to direct traffic to your site. If, from your site, you want to steer visitors towards Amazon, or other channels, that’s fine, but this lets you control the direction of the traffic. Often it allows you to steer visitors to landing pages or list building pages. Other Marketplaces – You should not limit yourself to Amazon alone. Global audiences, or at least quite massive audiences, exist on eBay, Walmart and Jet.com, among others. Do the same storefront activities there, with pricing designed to compete with those in the same marketplaces. This lets you adjust pricing, get your brand or name out there, but steers you away from Amazon dependency. Partnerships – No matter what you sell, it is likely that there are firms with products that complement or partner nicely with yours. Forming partnerships with them can help diversify and extend your reach. This can be everything from vlogs with product placements, blogs and articles that offer links back to your site, sales pages you create together and which packages your offers or promotes them equally, and more. While it is oh-so-easy to get started in sales on a site like Amazon, and make money, why bog yourself down into this single, narrow channel that will only have diminishing profits over time? Diversification is affordable and easy using the steps outlined above. It is the only real path to growth and one you can get started on right away. I have learn this put up and if I may I desire to suggest you some interesting issues or tips. this is happening to them as well? This may be a issue with my browser because I’ve had this happen previously. Can you want something new? Take a look at this site. Only here the choice of young girls for every desire and completely free! They are good slaves, they will do everything you command ! One thing I’ve noticed is the fact that there are plenty of fallacies regarding the banking companies intentions whenever talking about foreclosure. One fantasy in particular is the fact that the bank would like your house. Your banker wants your dollars, not your home. They want the amount of money they lent you having interest. Averting the bank will draw a foreclosed final result. Thanks for your write-up. to read even more things approximately it! I am actually thankful to the owner of this site who has shared this fantastic post at here. Wow, amazing weblog format! How lengthy have you ever been blogging for? you make blogging look easy. The overall look of your web site is wonderful, as smartly as the content! kmAzgg Some really superb blog posts on this site, thanks for contribution. NPCw9V I think this is a real great post.Thanks Again. Great. I’m commenting to let you know of the awesome experience my cousin’s child gained going through yuor web blog. She figured out a good number of details, which included what it is like to have a marvelous coaching spirit to make many people with no trouble gain knowledge of selected impossible things. You really did more than visitors’ expectations. Many thanks for delivering such useful, healthy, educational and even easy tips about that topic to Evelyn. I simply wanted to write a comment in order to express gratitude to you for some of the great tactics you are sharing at this website. My extensive internet search has finally been paid with high-quality suggestions to share with my partners. I ‘d admit that many of us site visitors actually are unequivocally fortunate to dwell in a remarkable site with many outstanding professionals with helpful hints. I feel truly privileged to have encountered the webpages and look forward to so many more awesome times reading here. Thank you once again for everything. My husband and i felt absolutely ecstatic that Michael managed to do his homework through the entire precious recommendations he got through the web page. It’s not at all simplistic just to always be giving for free steps people today may have been trying to sell. We really grasp we’ve got you to be grateful to because of that. The explanations you’ve made, the easy site navigation, the relationships you will assist to foster – it is most spectacular, and it’s helping our son and our family consider that the content is amusing, which is unbelievably fundamental. Thank you for all! My husband and i got absolutely thrilled that Louis managed to do his researching from your precious recommendations he obtained from your web pages. It is now and again perplexing just to happen to be releasing hints which often some other people could have been selling. We really do know we need the blog owner to appreciate for this. Most of the explanations you made, the easy website navigation, the friendships your site help to promote – it is everything awesome, and it’s facilitating our son in addition to the family feel that this theme is awesome, which is unbelievably essential. Thanks for all! I’m planning to create my very own website and would like to know where you got this from or what the theme is named. when it comes to this topic, made me for my part imagine it from numerous varied angles. Its like women and men don’t seem to be fascinated unless it’s something to do with Girl gaga! I visited various sites but the audio feature for audio songs existing at this website is truly excellent. website style is great, the articles is truly excellent : D.
Throughout the great design of things you actually secure an A+ with regard to effort and hard work. Exactly where you confused everybody was first on your details. You know, people say, the devil is in the details… And that could not be more correct at this point. Having said that, allow me tell you exactly what did deliver the results. Your authoring is certainly incredibly convincing and this is probably why I am making the effort to opine. I do not really make it a regular habit of doing that. Next, despite the fact that I can easily see the leaps in reason you make, I am definitely not confident of exactly how you appear to connect the points that help to make the conclusion. For right now I will, no doubt yield to your position however wish in the future you actually link the facts better. Greetings from Los angeles! I’m bored to death at work so I decided to browse your website on my iphone during lunch break. I love the info you provide here and can’t wait to take a look when I get home. I’m surprised at how quick your blog loaded on my phone .. I’m not even using WIFI, just 3G .. Anyways, wonderful site! Thanks for your personal marvelous posting! I actually enjoyed reading it, you could be a great author.I will remember to bookmark your blog and will often come back someday. I want to encourage you continue your great job, have a nice afternoon! I’m really enjoying the theme/design of your website. Do you ever run into any browser compatibility issues? A number of my blog visitors have complained about my website not working correctly in Explorer but looks great in Safari. Do you have any tips to help fix this issue? We are a bunch of volunteers and starting a new scheme in our community. Your web site offered us with valuable info to paintings on. You’ve done a formidable task and our entire neighborhood will be thankful to you. I have read some just right stuff here. Definitely price bookmarking for revisiting. I wonder how so much attempt you set to create the sort of fantastic informative site. You completed various nice points there. I did a search on the subject matter and found a good number of folks will go along with with your blog. Nice post. I was checking constantly this blog and I am impressed! Very useful info specially the last part 🙂 I care for such info a lot. I was looking for this certain information for a long time. Thank you and best of luck. this is happening to them too? This may be a issue with my internet browser because I’ve had this happen previously. This article will assist the internet people for creating new weblog or even a weblog from start to end. Hello I am so grateful I found your site, I really found you by accident, while I was researching on Bing for something else, Nonetheless I am here now and would just like to say cheers for a remarkable post and a all round entertaining blog (I also love the theme/design), I don’t have time to browse it all at the minute but I have bookmarked it and also added your RSS feeds, so when I have time I will be back to read more, Please do keep up the fantastic work. I have been exploring for a bit for any high quality articles or weblog posts in this sort of space . Exploring in Yahoo I at last stumbled upon this web site. Reading this information So i am happy to convey that I have an incredibly excellent uncanny feeling I found out exactly what I needed. I so much definitely will make sure to don’t put out of your mind this web site and provides it a look on a continuing basis. It’s actually a great and helpful piece of information. I am glad that you shared this useful information with us. You really make it appear so easy together with your presentation however I find this matter to be actually something which I feel I would by no means understand. It seems too complex and extremely huge for me. I am looking ahead for your next put up, I will try to get the hang of it! Hi there! This is my 1st comment here so I just wanted to give a quick shout out and say I really enjoy reading your articles. Can you suggest any other blogs/websites/forums that deal with the same subjects? Thank you! Hi, i think that i saw you visited my weblog so i came to “go back the favor”.I’m attempting to find things to enhance my web site!I assume its good enough to make use of a few of your ideas!! This web page is known as a walk-through for all the data you wanted about this and didn’t know who to ask. Glimpse right here, and also you’ll undoubtedly uncover it. Please let me know if you’re looking for a writer for your weblog. You have some really great posts and I think I would be a good asset. If you ever want to take some of the load off, I’d absolutely love to write some material for your blog in exchange for a link back to mine. Please blast me an email if interested. Kudos! Youre so cool! I dont suppose Ive learn anything like this before. So good to find any individual with some authentic thoughts on this subject. realy thank you for beginning this up. this web site is one thing that is needed on the internet, someone with just a little originality. helpful job for bringing something new to the web! great and that i could think you are a professional on this subject. Well together with your permission let me to take hold of your RSS feed to stay updated with drawing close post. F*ckin’ awesome issues here. I’m very glad to see your post. Thanks so much and i am having a look forward to contact you. Will you please drop me a e-mail? back at some point. I want to encourage continue your great writing, have a nice holiday weekend! Excellent goods from you, man. I have understand your stuff previous to and you are just too wonderful. I really like what you’ve acquired here, certainly like what you are saying and the way in which you say it. You make it enjoyable and you still take care of to keep it sensible. I can’t wait to read much more from you. This is really a great website. whoah this blog іs fantastic i love studying your articles. ⅼots off persons aге hunting round for this informatiοn, you can heⅼp them gｒeatly. note of y᧐ur blog and keｅp checking foг new information abоut օnce a week. I opted in for yoᥙr Feed tߋo. Hiya, I’m really glad I’ve found this info. Today bloggers publish only about gossips and net and this is actually annoying. A good blog with exciting content, this is what I need. Thanks for keeping this web site, I will be visiting it. Do you do newsletters? Cant find it. I would like to thank you for the efforts you have put in writing this web site. I’m hoping the same high-grade website post from you in the upcoming as well. In fact your creative writing abilities has encouraged me to get my own blog now. Really the blogging is spreading its wings quickly. Your write up is a great example of it. In this awesome scheme of things you’ll receive an A+ for effort. Where you actually confused everybody was in all the particulars. As they say, the devil is in the details… And that couldn’t be much more accurate at this point. Having said that, permit me say to you what exactly did deliver the results. Your writing is very persuasive and that is most likely the reason why I am taking the effort in order to comment. I do not make it a regular habit of doing that. Second, despite the fact that I can see a jumps in logic you come up with, I am not necessarily convinced of how you seem to connect the details which in turn produce the actual conclusion. For now I shall subscribe to your point but hope in the near future you link your dots much better. You actually make it appear so easy along with your presentation however I find this matter to be really one thing which I feel I would by no means understand. It sort of feels too complicated and extremely vast for me. I am looking forward for your subsequent publish, I will try to get the grasp of it! I have to show my appreciation to you for rescuing me from this type of setting. Just after looking out through the the net and seeing notions which were not powerful, I figured my entire life was well over. Being alive minus the solutions to the issues you have resolved by means of the article is a critical case, as well as the kind that might have in a wrong way damaged my entire career if I hadn’t discovered your blog. Your actual competence and kindness in dealing with a lot of stuff was useful. I don’t know what I would have done if I had not encountered such a stuff like this. I can also at this point look ahead to my future. Thank you so much for the specialized and amazing guide. I will not think twice to recommend your web page to any individual who wants and needs counselling about this subject matter. I and my pals were actually reading through the good suggestions found on your site and then instantly I got a terrible suspicion I had not expressed respect to the website owner for those secrets. All of the people are already passionate to see all of them and have in effect without a doubt been tapping into these things. We appreciate you turning out to be so considerate and then for obtaining variety of exceptional issues millions of individuals are really desperate to understand about. Our own sincere apologies for not expressing appreciation to earlier. I was suggested this website by my cousin. I am no longer certain whether this post is written via him as no one else understand such distinct approximately my difficulty. You are amazing! Thanks! I have learn a few good stuff here. Certainly price bookmarking for revisiting. I surprise how a lot attempt you put to make this kind of wonderful informative website. Hi to every one, the contents existing at this site are in fact amazing for people experience, well, keep up the good work fellows. Youre so cool! I dont suppose Ive read something like this before. So good to find someone with some authentic ideas on this subject. realy thank you for starting this up. this web site is something that’s wanted on the web, someone with slightly originality. useful job for bringing something new to the web! Good – I should definitely pronounce, impressed with your site. I had no trouble navigating through all tabs as well as related information ended up being truly simple to do to access. I recently found what I hoped for before you know it at all. Reasonably unusual. Is likely to appreciate it for those who add forums or something, web site theme . a tones way for your customer to communicate. Nice task..
Good post. I study something more difficult on different blogs everyday. It is going to all the time be stimulating to read content from other writers and practice somewhat something from their store. I’d choose to make use of some with the content on my weblog whether or not you don’t mind. Natually I’ll offer you a link on your web blog. Thanks for sharing. Fantastic items from you, man. I have remember your stuff previous to and you’re just too magnificent. I really like what you’ve received here, certainly like what you are saying and the best way by which you say it. You’re making it entertaining and you continue to care for to stay it smart. I can’t wait to read far more from you. This is really a tremendous site. I was suggested this blog via my cousin. I’m no longer certain whether or not this post is written via him as no one else understand such exact approximately my problem. You are amazing! Thanks! You made various nice points there. I did a search on the topic and found a good number of persons will go along with with your blog. Hi there would you mind stating which blog platform you’re using? I’m looking to start my own blog in the near future but I’m having a hard time choosing between BlogEngine/Wordpress/B2evolution and Drupal. The reason I ask is because your layout seems different then most blogs and I’m looking for something completely unique. P.S Sorry for being off-topic but I had to ask! If you would like to get a great deal from this post then you have to apply such strategies to your won web site. Pretty section of content. I just stumbled upon your site and in accession capital to assert that I get actually loved account your weblog posts. Any way I’ll be subscribing to your augment and even I achievement you get admission to persistently rapidly. It is actually a great and useful piece of info. I’m glad that you shared this useful information with us. Please keep us up to date like this. Thanks for sharing. Its such as you read my thoughts! You appear to grasp so much about this, such as you wrote the e-book in it or something. I believe that you just can do with a few percent to power the message home a little bit, but instead of that, this is fantastic blog. A great read. I will certainly be back. The crux of your writing whilst sounding reasonable at first, did not really work perfectly with me personally after some time. Somewhere within the paragraphs you were able to make me a believer but just for a short while. I still have got a problem with your leaps in logic and you might do well to fill in those breaks. In the event that you actually can accomplish that, I would undoubtedly end up being amazed. I will immediately take hold of your rss as I can’t in finding your e-mail subscription link or newsletter service. Do you have any? Please permit me recognize in order that I may just subscribe. Thanks. Thank you, I’ve just been searching for information approximately this topic for a long time and yours is the greatest I’ve found out till now. But, what concerning the bottom line? Are you positive in regards to the source? Thank you, I’ve just been searching for info approximately this subject for ages and yours is the best I have came upon so far. However, what about the conclusion? Are you positive about the supply? Hello, i read your blog occasionally and i own a similar one and i was just curious if you get a lot of spam feedback? If so how do you prevent it, any plugin or anything you can suggest? I get so much lately it’s driving me mad so any assistance is very much appreciated. all the web users; they will obtain advantage from it I am sure. It is the best time to make a few plans for the longer term and it is time to be happy. I’ve learn this post and if I could I want to counsel you some fascinating issues or suggestions. Perhaps you can write next articles regarding this article. I desire to learn more things approximately it! Just about all of whatever you articulate happens to be supprisingly accurate and that makes me wonder why I had not looked at this with this light before. This particular piece truly did turn the light on for me personally as far as this issue goes. But there is actually one position I am not too cozy with and whilst I try to reconcile that with the core idea of your issue, allow me observe just what all the rest of your subscribers have to point out.Well done. Hi there, I discovered your web site by means of Google while searching for a comparable matter, your website got here up, it appears good. I’ve bookmarked it in my google bookmarks. I am usually to blogging and i really appreciate your content. The article has actually peaks my interest. I am going to bookmark your site and keep checking for new information. Hi there I am so delighted I found your webpage, I really found you by accident, while I was browsing on Bing for something else, Regardless I am here now and would just like to say thank you for a incredible post and a all round exciting blog (I also love the theme/design), I don’t have time to look over it all at the minute but I have saved it and also included your RSS feeds, so when I have time I will be back to read a lot more, Please do keep up the awesome job. Thanks for the article, is there any way I can receive an alert email whenever you write a fresh article? magnificent points altogether, you simply gained a new reader. What might you recommend in regards to your post that you made a few days in the past? Any certain? The core of your writing whilst appearing reasonable initially, did not settle very well with me after some time. Somewhere within the paragraphs you managed to make me a believer but only for a very short while. I still have got a problem with your jumps in assumptions and you might do well to help fill in all those gaps. In the event you actually can accomplish that, I would undoubtedly end up being fascinated. Greetings from Idaho! I’m bored to death at work so I decided to browse your blog on my iphone during lunch break. I really like the info you provide here and can’t wait to take a look when I get home. I’m amazed at how fast your blog loaded on my cell phone .. I’m not even using WIFI, just 3G .. Anyways, very good site! I’m not positive the place you’re getting your info, however good topic. I must spend some time finding out more or understanding more. Thanks for excellent information I used to be on the lookout for this info for my mission. It’s a pity you don’t have a donate button! I’d certainly donate to this fantastic blog! I suppose for now i’ll settle for book-marking and adding your RSS feed to my Google account. I look forward to brand new updates and will share this blog with my Facebook group. Talk soon!